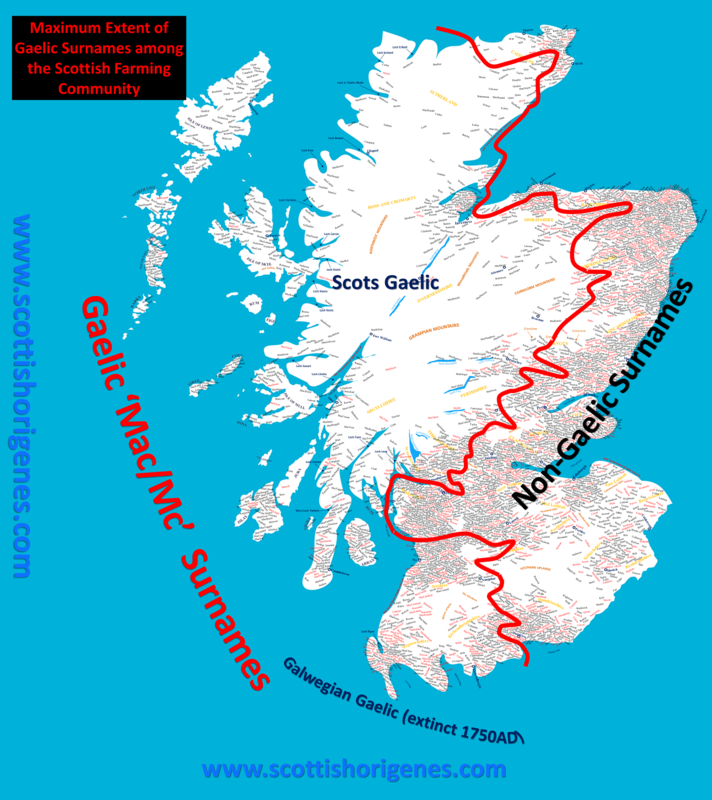 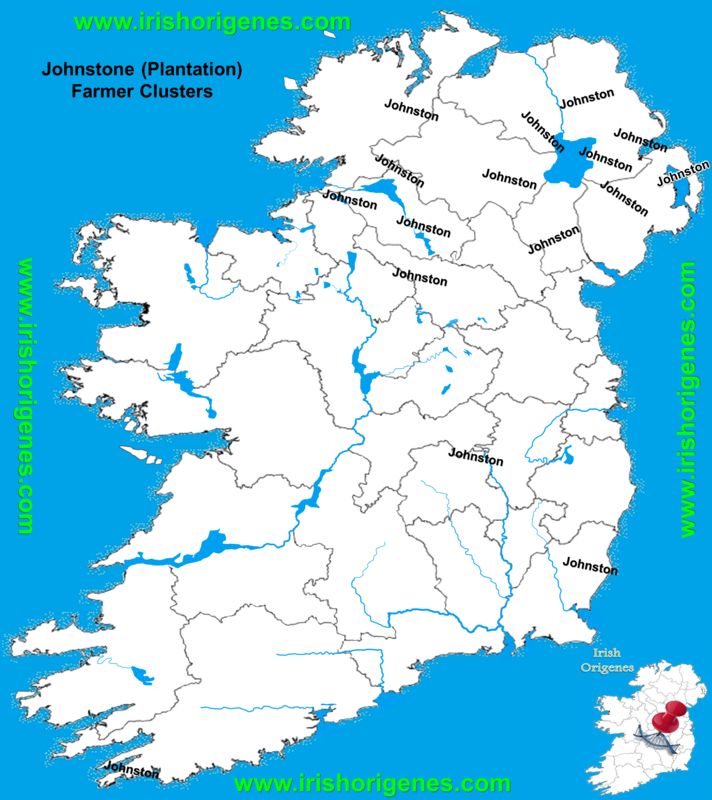 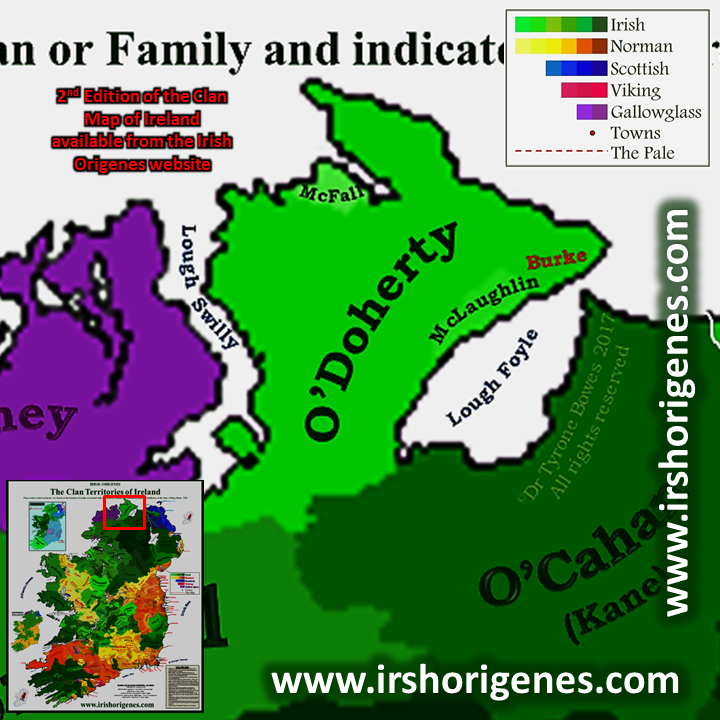 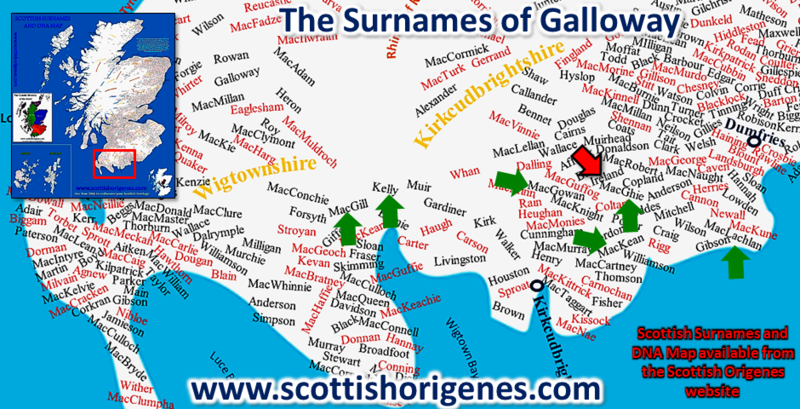 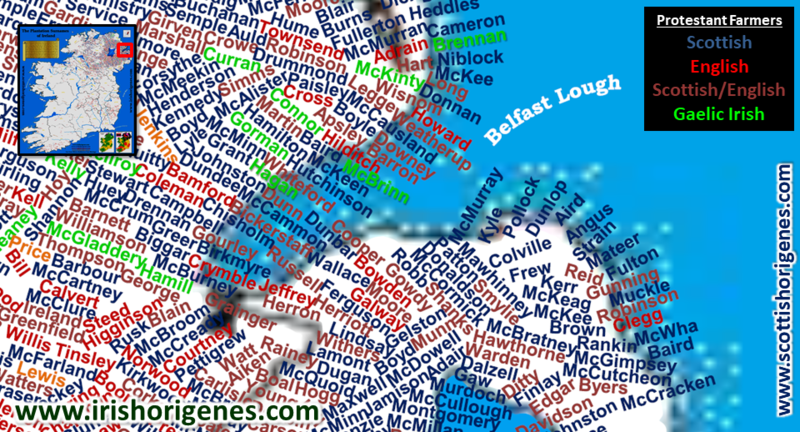 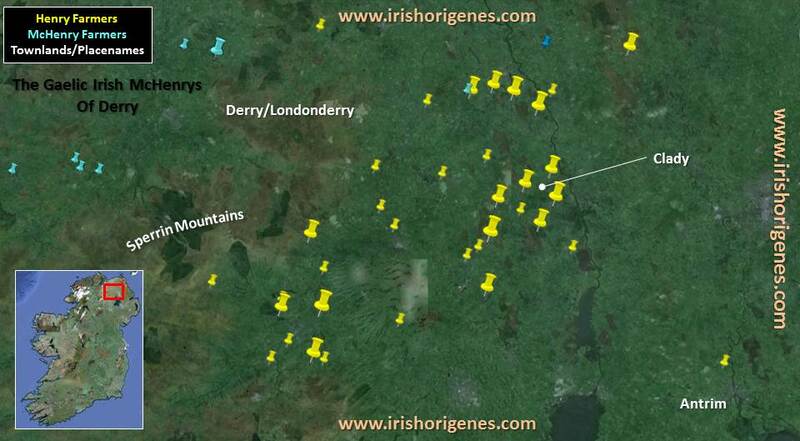 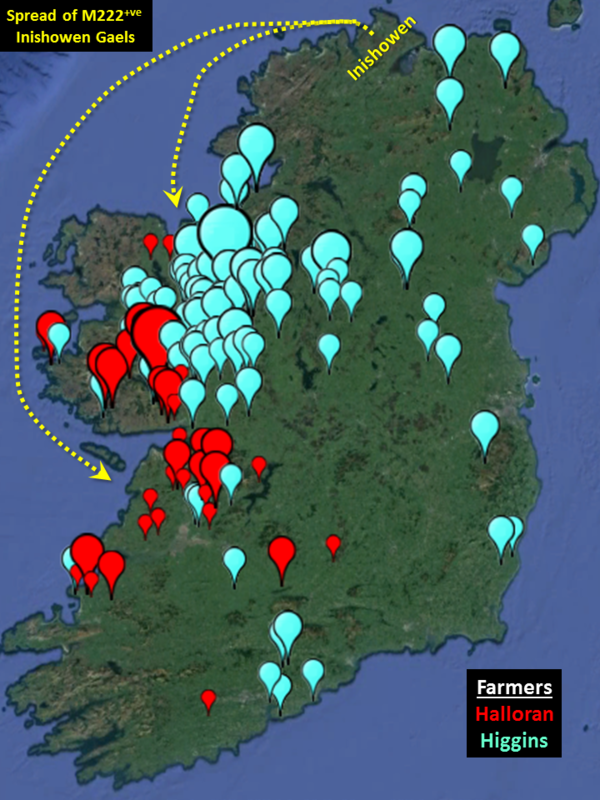 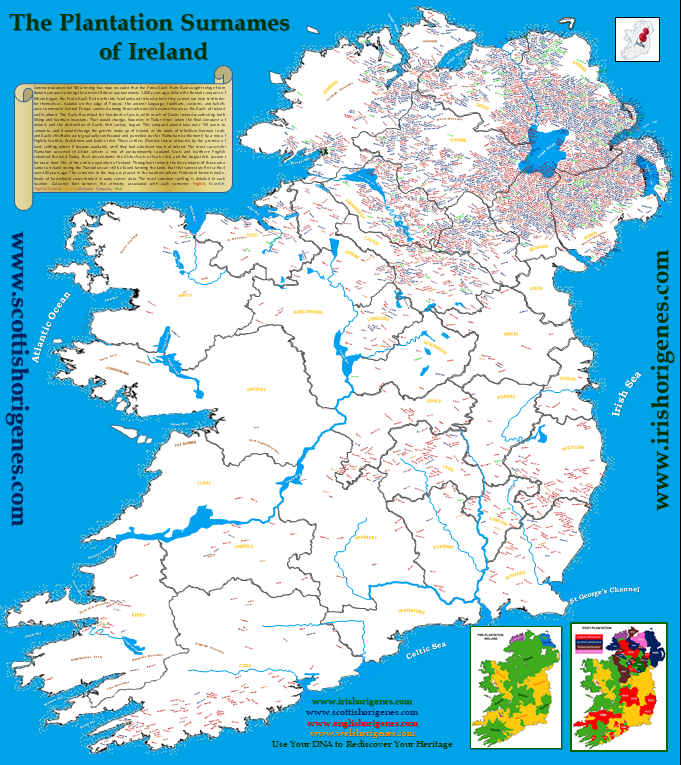 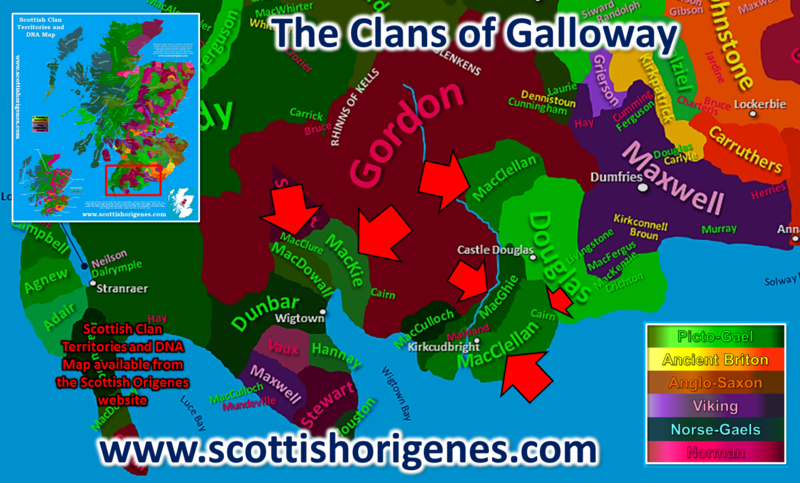 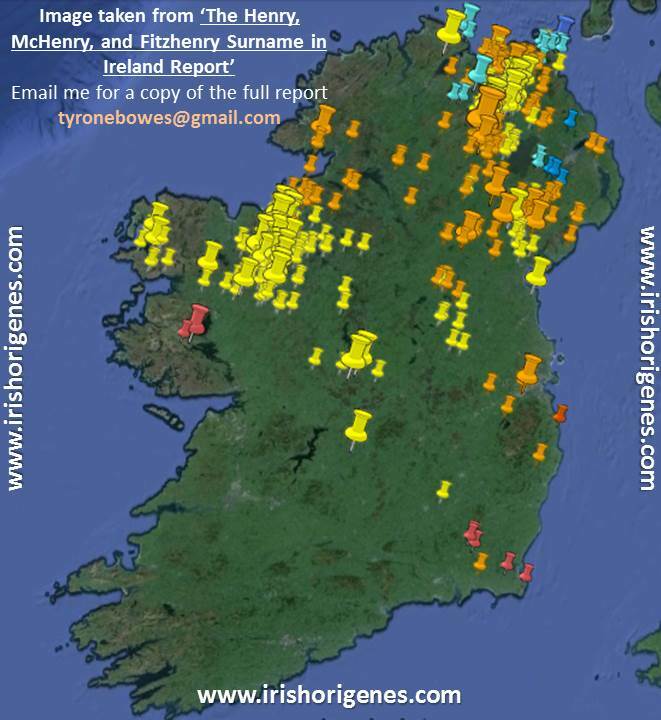 The Plantation Surnames of Ireland (Scots-Irish) Map is now available to purchase (click here). 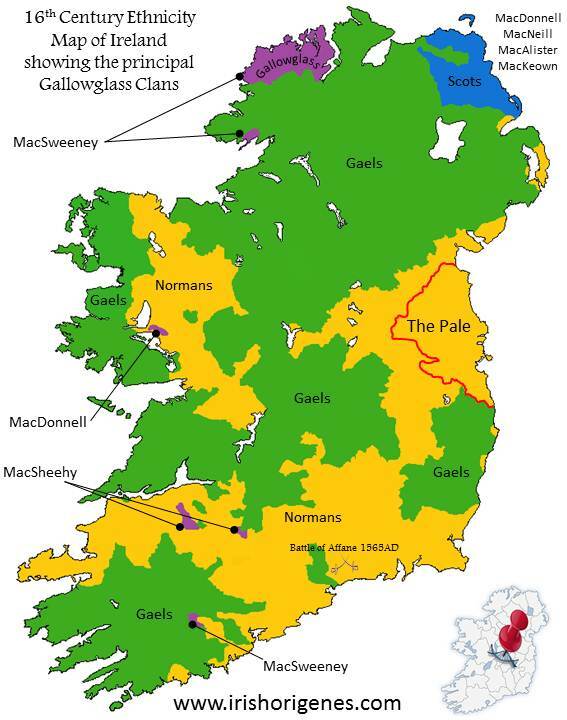 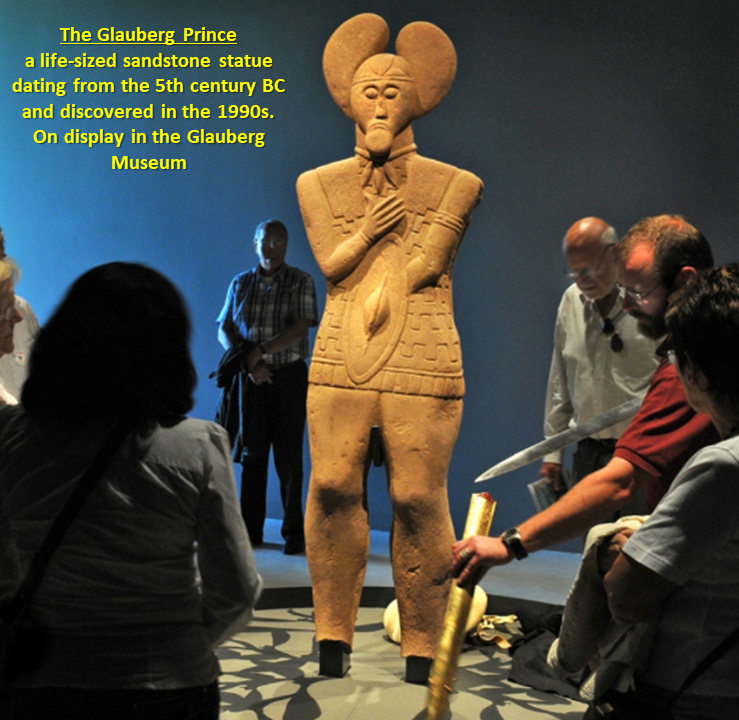 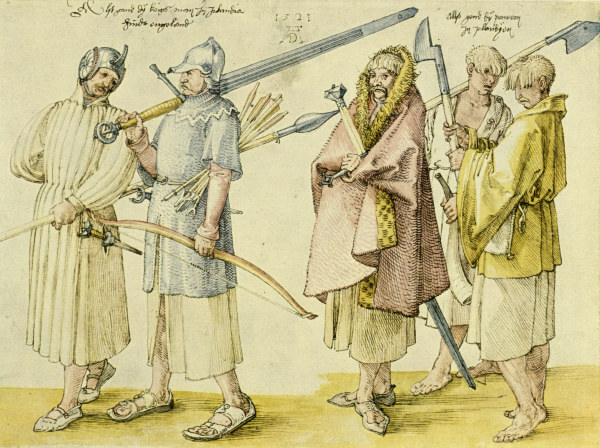 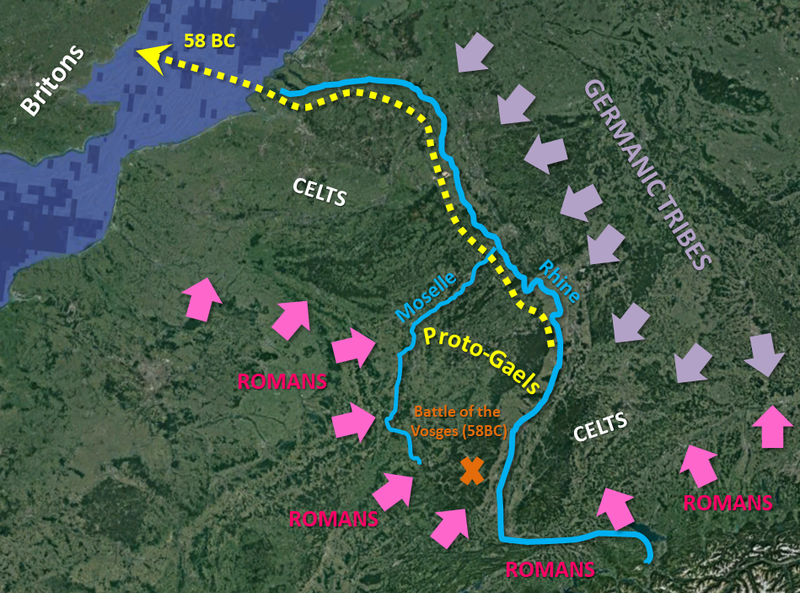 PART II: The origin of the Gaels has remained a mystery until the advent of modern commercial ancestral DNA testing. 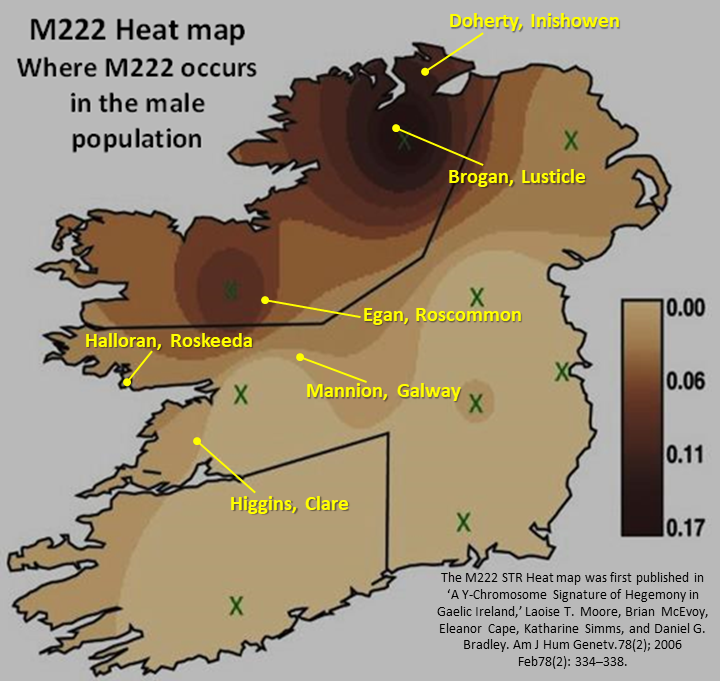 When did R-M222 first appear in Inishowen? 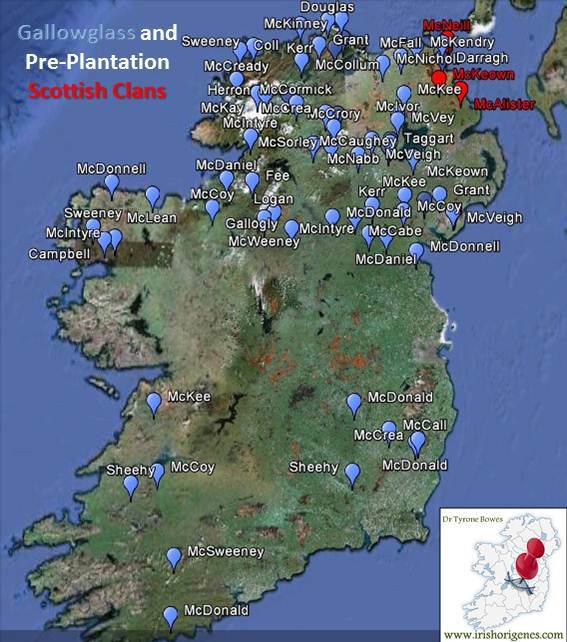 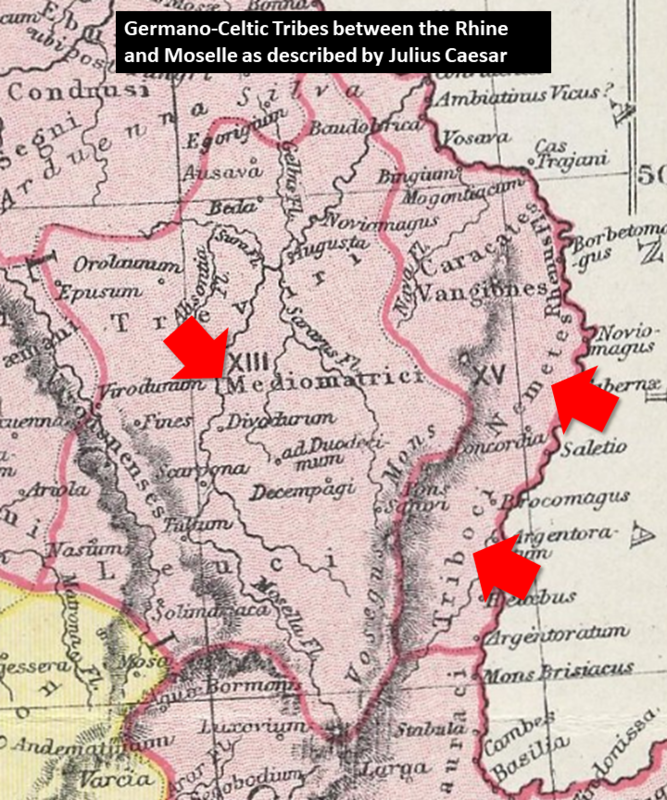 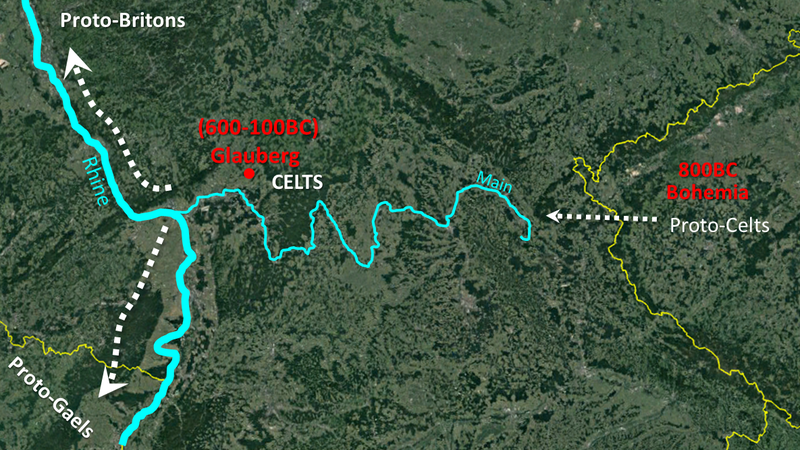 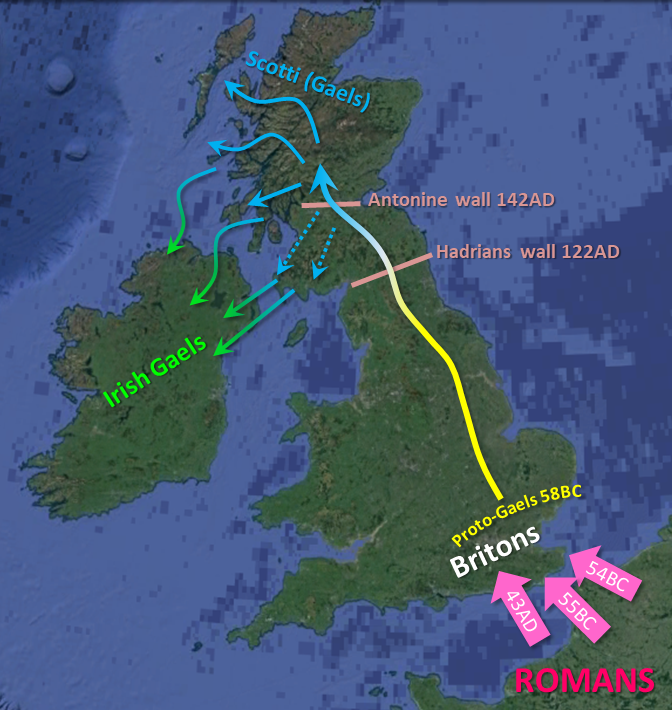 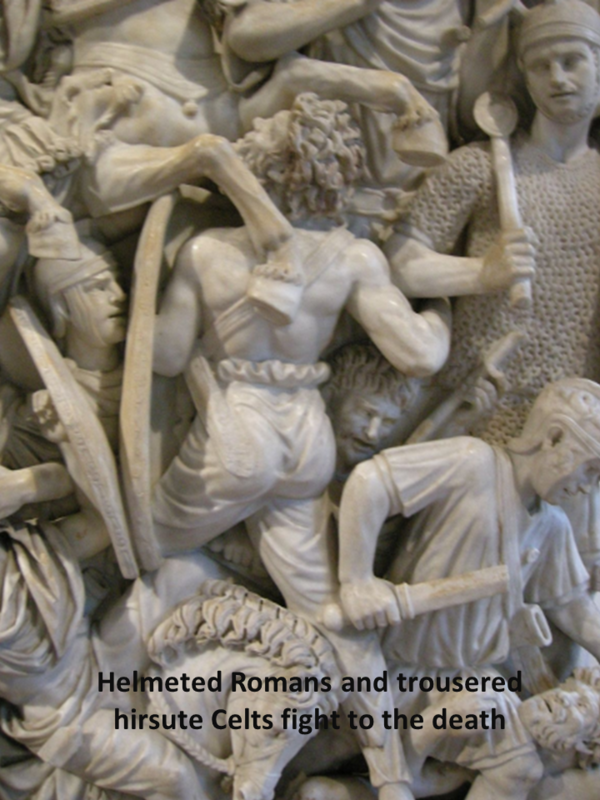 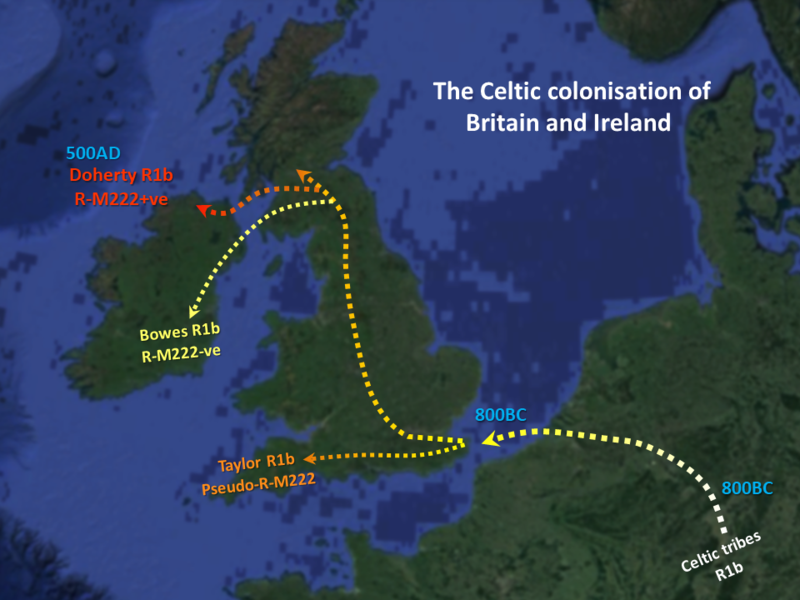 By examining the genetic distance between selected members of the R-M222 family and comparing it to the timetable developed by Scottish Origenes one can determine when the R-M222 Adam lived. 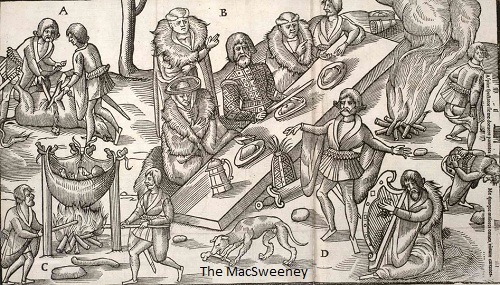 Had a great time in Portland and Seattle on my mini speaking tour of the Pacific Northwest, even managed to make a brief appearance on Seattle TV. 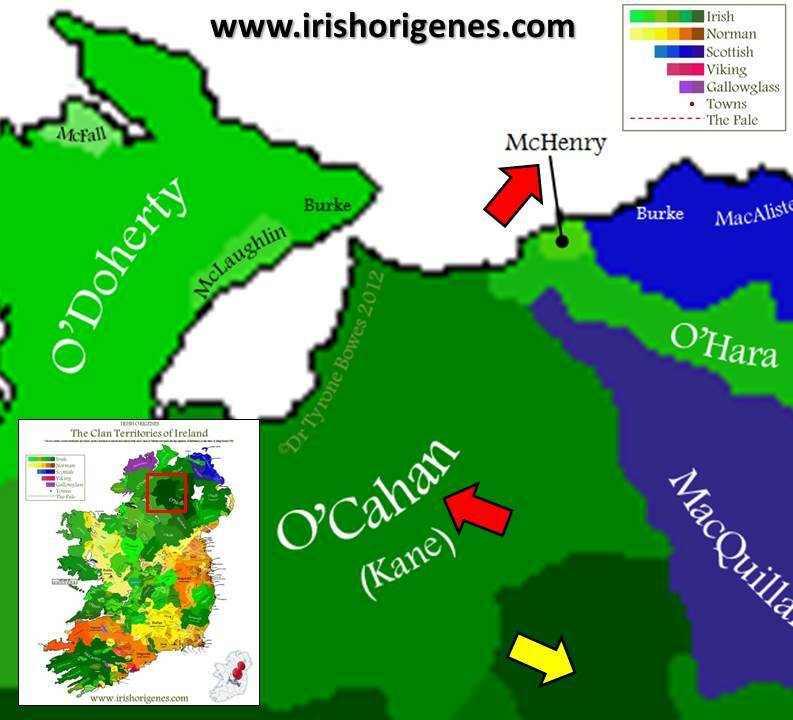 Henrys in Ireland; Irish, Norman, English, or Scots? 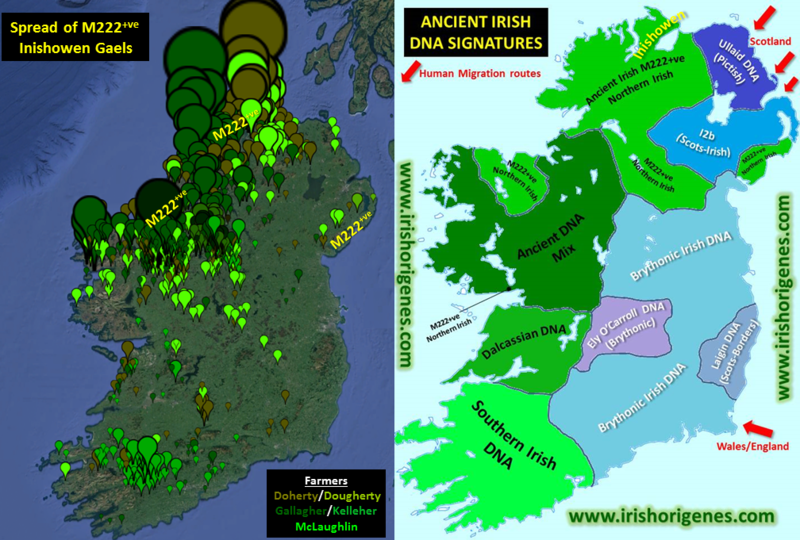 Let the Y-DNA decide! 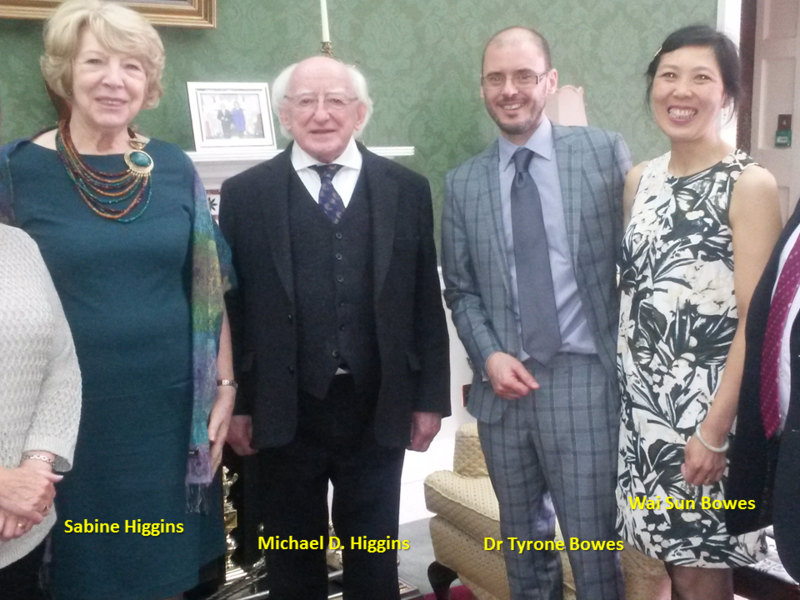 Firstly I’d like to thank Mr Henry for allowing me to share his Y-DNA Case Study Report. 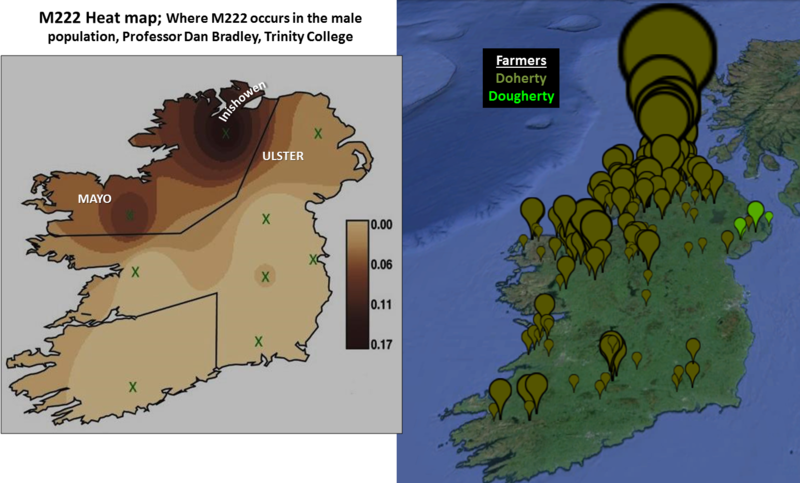 This study is interesting for a number of reasons. 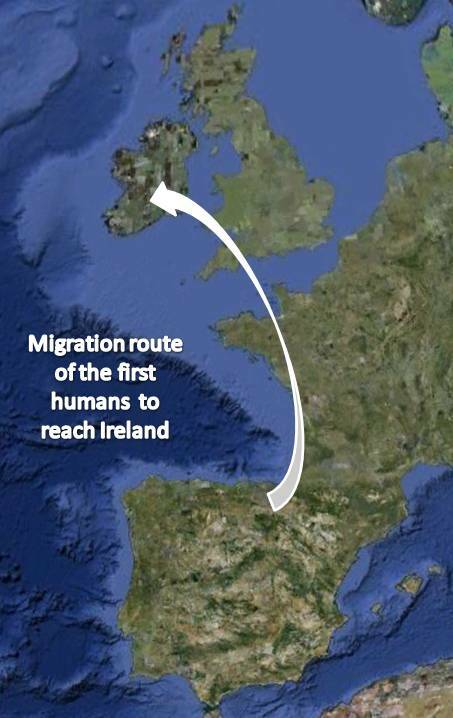 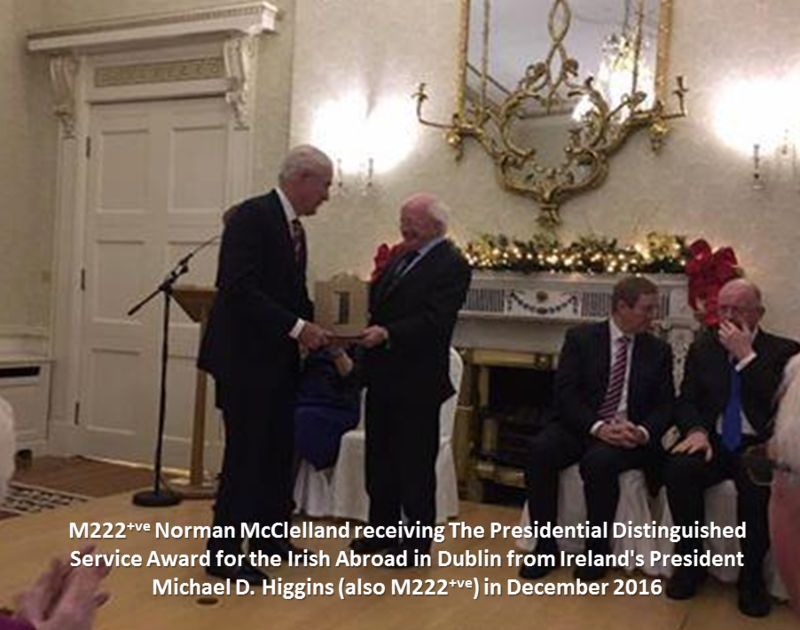 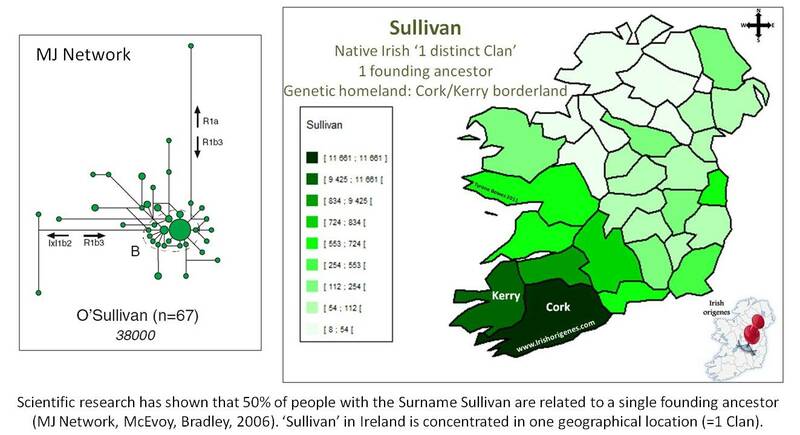 Mr Durkin contacted me feeling pessimistic about his chances of pinpointing an origin for his Irish ancestors based on his commercial ancestral DNA test results! 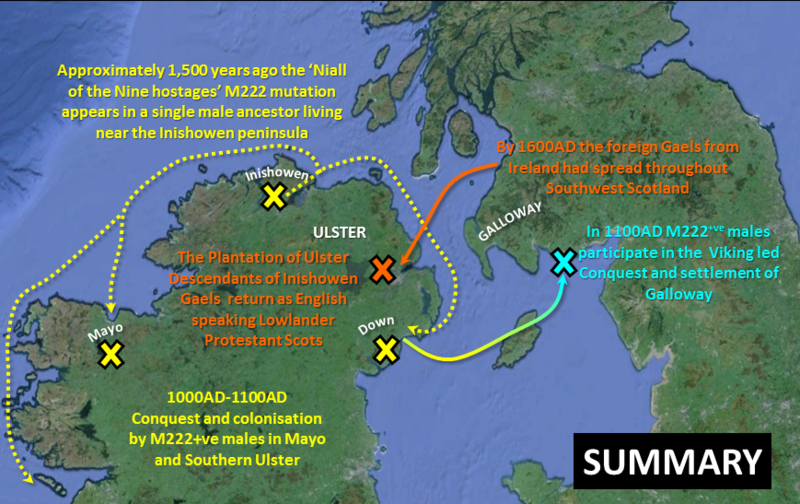 The power of commercial ancestral DNA testing continues to amaze me.